Welcome to this Beautiful Traditional 2 Story with 5 Bed/4 Bath. 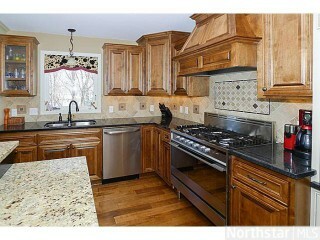 New Kitchen with Island, Granite Ctops! Don't miss Wrap Around Porch, Patio, Deck, Hrdwd Floors, Fireplace! Owner's suite has Private Bath! Wlkout Bsmt! Located on a dead end/ cul-de-sac!